When my hubby approached me first, i thought to myself, “Lord! Not again!” I was so tired of the drama that relationships bring. My own self-image was quite tainted and low and i wasn’t ready to go through the turmoil again. I was on the right path. A path of self-love and getting right again with my Lord. I had surrendered it all to my Saviour. My dating life included. So when he said “Hey Mary Muthoni Mwangi” – [yes he called me by my full names then] , i can assure you that i was already binding demons! I loved myself. I was content just being alone and eating a whole pizza by myself. I was okay going to the movies alone. I loved my evening walks as i got to sing and converse with the Lord like a real friend would to you. My self-worth was back on track! I loved my jeans, my make-up, my cooking, my walks, my shopping, my books, i loved me! How you view yourself will ultimately shape who you attract. Don’t get me wrong on this. I am not entirely talking about the outward appearance, but am referring to your character and how you value yourself. Dating doesn’t begin when you meet this guy or lady. Dating begins way before time. Dating begins with you dating you! You see, if you view yourself as worthless, small, unappreciated, unlovable, you will ultimately attract someone who will exploit the very weaknesses you have. Co-dependency will feel like love as the flames of first love ember, but as they finally settle down, you will realize it was not love, it was simply that, co-dependency. You are so in need a relationship that it becomes a fanaticism, and he is broken and needs a lady who would love him for him. So both of you are sort of mutually benefiting from each other, but the mirror isn’t love.! Self-perception shapes your courtship journey form the word go. If you regard yourself highly then you will instantly form some boundaries from the word go. You will not bent at every flimsy whim that the guy or the lady pulls. The person whom you are courting will automatically know that there are some spaces that are a no-go zones for the other person. Boundaries are important in any relationship. But if you have esteem issues, chances are that you will take on anyone and anything, surviving on co-dependency because you are so afraid of loosing that person (after all, you are lucky that they choose you) right? The unfortunate bit is, it becomes increasingly impossible as the relationship progresses, to ask this questions with the same zeal and gusto. 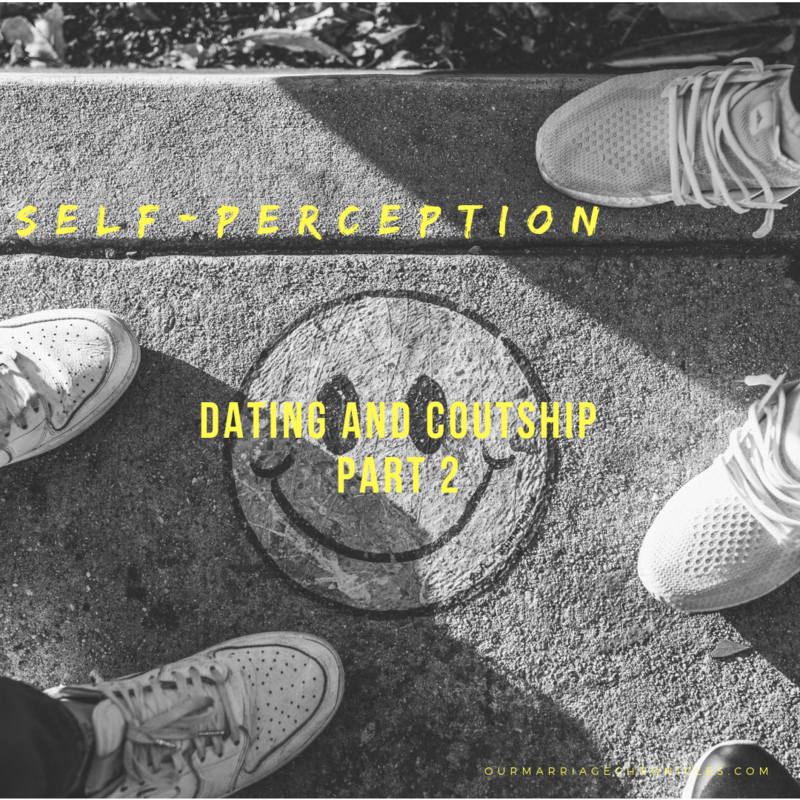 Did you build yourself and consequently your own self perception when you were single? Before you begin that journey, the journey of courtship that will ultimately, make sure your own self–worth is intact. That this man or woman won’t define you. Are you happy just the way you are or do you need a relationship in-order to be happy? Are yo so afraid to be alone that you would take on anyone at their own terms? Ask yourself this questions and question your motives behind having a relationship. Previous PostHe Forgot About Valentines! How I view myself ultimately shapes who I attract! So true Joy! Keep being blessed!